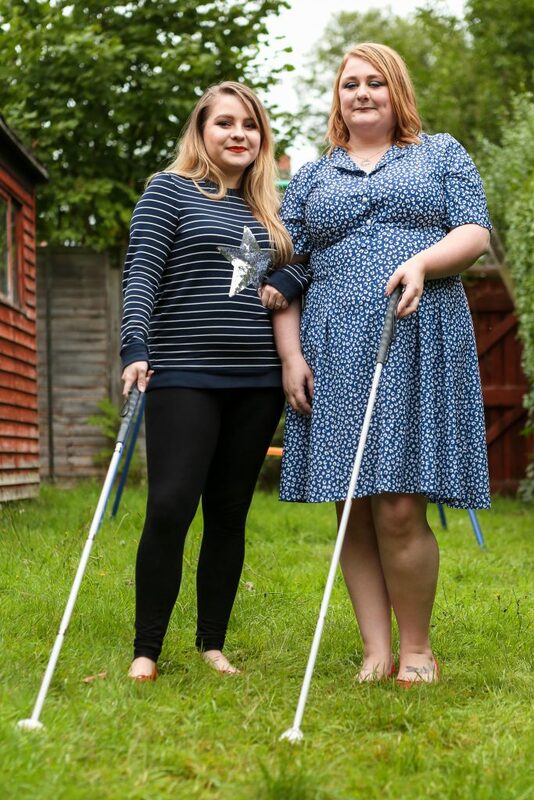 Two blind women have become best friends and now create makeup tutorials together after both losing their sight overnight with no explanation. Laura Greeves, now 26, started losing her sight aged just 24 when in just a matter of days she began to see black spots and her vision became blurred. Pics by James Ward/Caters News: Laura Greaves (Blue Dress) and Alex Lucas. Selly Oak, Birmingham. Doctors were unable to explain the sudden deterioration of her eyesight, which left her unable to work and drive, and she was forced to bring forward her wedding to husband, David, after fears she wouldn’t be able to see him on her big day. Laura met 25-year-old Alex Lucas at a support group after learning she had also lost her sight overnight at just 23-years-old and was also left without a reason for her loss of sight. Mum-of-one Laura, a former administrator from Selly Oak, Birmingham, said: “I had to accept that I was never going to know why I had lost my sight and also my independence. “It felt like I was grieving, I couldn’t even play games with my son, Archie. “I met Alex at a working aid forum back in April and we hit it off straight away. 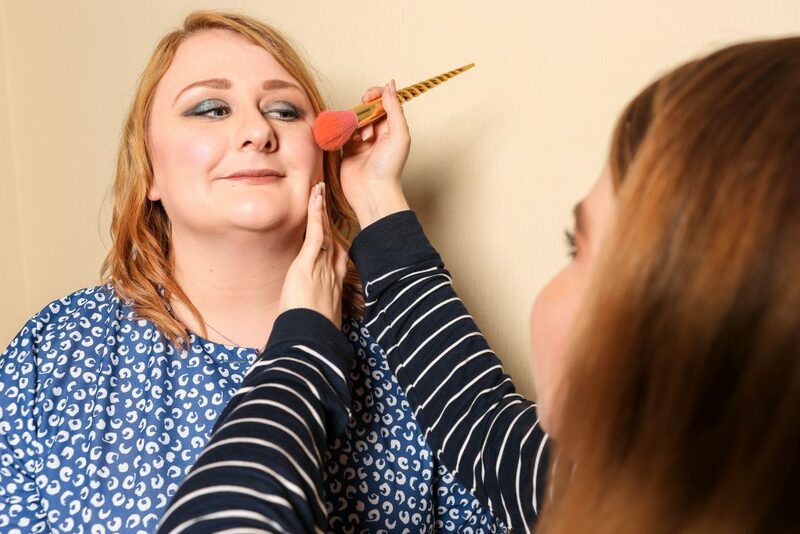 Alex, a former make-up artist, from Northfield, Birmingham, said: “I lost my eyesight in a very similar way and I think it brought us both together. “I had been suffering from headaches but woke up one morning to find my vision was blurred, it was like there was a white mist in the room. “I was told that I had optic nerve damage but with no explanation as to why and no cure. I remember just going home and crying int he shower. “Meeting Laura meant I had a friend I could talk to, who was going through the same thing. We started bouncing ideas off one another and it became an outlet for us. 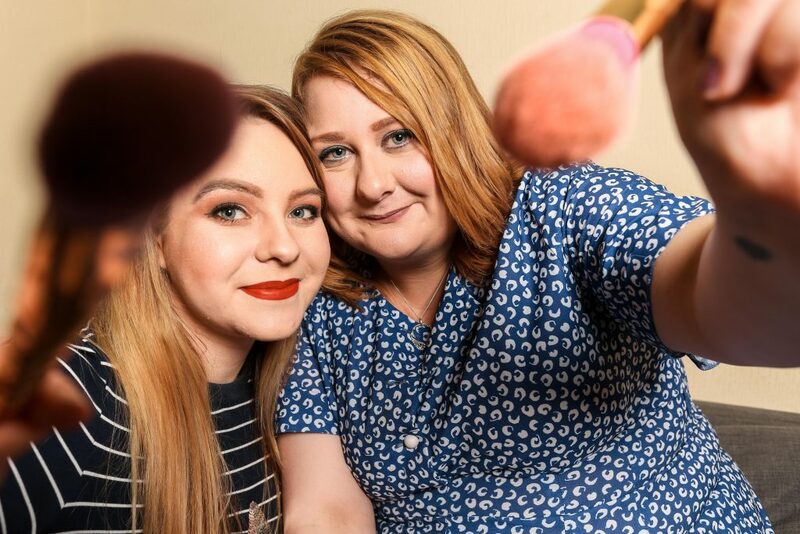 The best friends launched their podcast in June, this year, and went on to create videos showing how to apply make-up and even put together a cooking tutorial. Laura said: “We have issues setting the camera up and use my conservatory with our phone camera propped up, but we are hoping to borrowed a GoPro in future. Alex added: “We wanted to create something aimed at our age that was a bit more lighthearted. 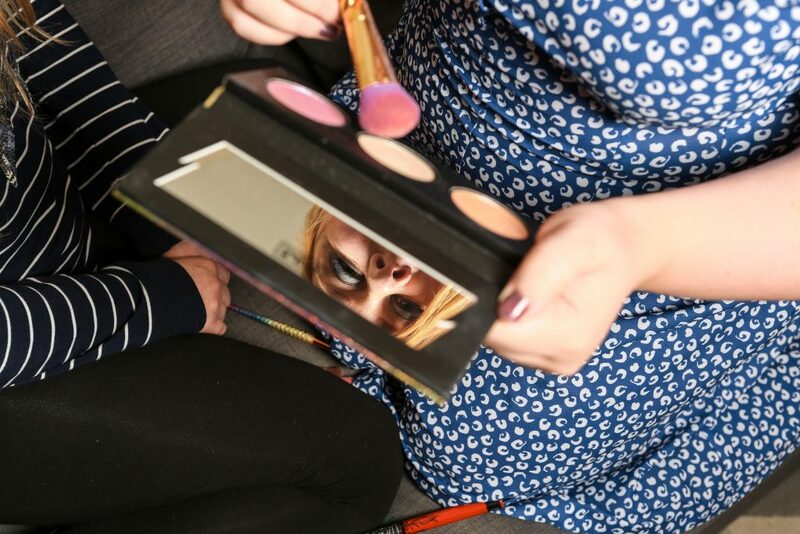 “I was a make-up artist before I lost my sight, so I was able to teach Laura how to do her eyeshadow. It’s very much teamwork.